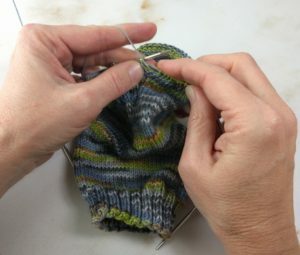 Last week I went to a knitting retreat that I’ve been attending for the last two years. 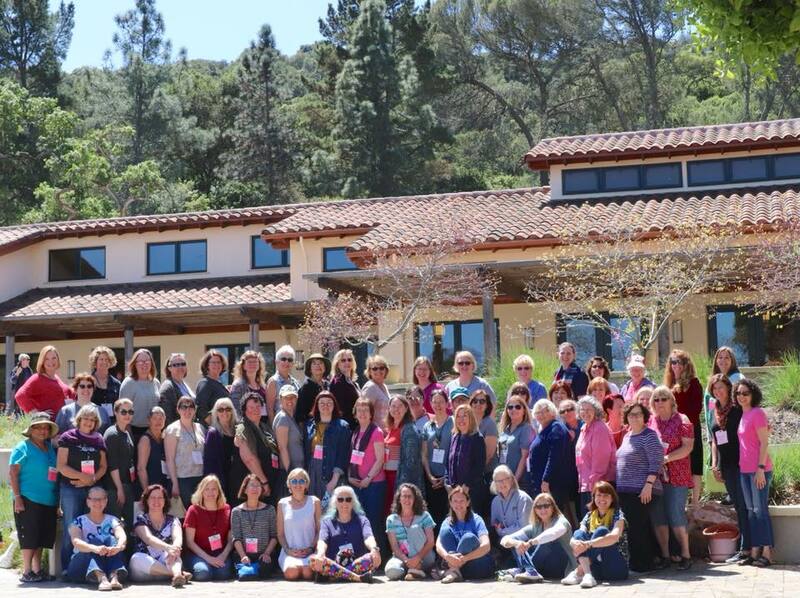 We meet at the St. Francis Retreat Center about an hour from my home. The rooms are simple, the food is wholesome, and the company is great! This retreat has a few social events such as a sock yarn exchange and a single one-hour workshop, but most of the time is listed on the schedule as “Relax.” The center has a short walking trail around a seasonal pond and some slightly longer trails up in the hills. A lawn with large, shady trees spreads across the front of the retreat center as well. Just before the retreat, I had the unfortunate experience of being rear ended twice in one week, so it was great to spend a weekend not driving at all and just basking in the company of fellow knitter. 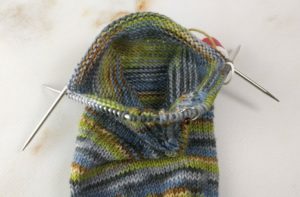 The conversation ranges from the technical (such as the best way to finish the top of a colorwork knee-high sock) to the personal (dealing with health issues) and everywhere in between. Knitting in company is one of the best things ever. 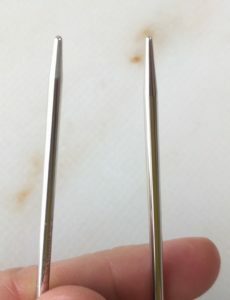 I was part of a spirited conversation about the best interchangeable needle sets and all the considerations you might make in deciding which one to purchase for your first set. I’m quite sure my non-knitting friends eyes would have glazed over about two minutes in! With our hands at work, our minds are free to puzzle over both the mysteries of life and the technicalities of our craft. I highly recommend finding a knitting group. It doesn’t have to be a weekend retreat, a weekly or monthly group also has many of the same advantages. 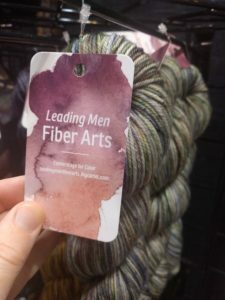 Meetup.com has listings and many yarn shops have social knitting events. Many communities have knitting guilds that have social events as well as more formal meetings. You might even find a group at a local library. I’m on the top row, sixth from the left. 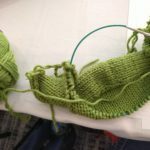 Here in the Bay Area, Stitches West is THE go-to event for knitters. Hundreds of classes and vendors over a four day weekend means non-stop knitting and crocheting fun! This year I was there a bit on Friday to shop and then took classes Saturday and Sunday. In between, I got to say hello to many friends! My Saturday class was called Think Proportional…for Garment Design with Susan Lazear. This was a 6 hour class that started with looking at our own measurements and examining what they told us about our own proportions then moving on to analyzing how garments fit proportionately and how we could apply the same proportions of a garment to our own work. I’ve taken other classes about using measurements, but Susan’s emphasis on proportions really made me think differently about my design work! Susan was a great teacher and really tailored the talk to our needs. 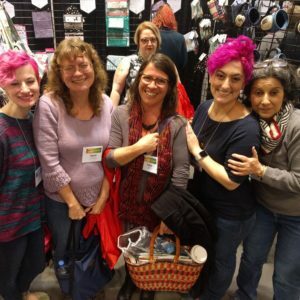 In between the two halves of the class, I got to meet the Knitmore Girls, my all time favorite podcasters! On Sunday I took a class called Slick Set-in Sleeves with J C Briar. In that class we practiced making a top down no seams set in sleeve on a child’s cardigan sample and then learned how to adapt the same concept to other top down and bottom up garments that are written for sewn sleeves. She also gave us some hints for applying the technique to our own garment design. As with all of J C’s classes, this one was really well organized and informational. I also attended the Student Banquet and Style Show on Saturday night where I took to the catwalk and showed off my Seacliff Beach Poncho! It was a fun event with lots of inspiring knitted and crocheted garments. You can see the photos of all the garments from the show on Facebook. I also won a prize for participating! Thank you, Stitches West! 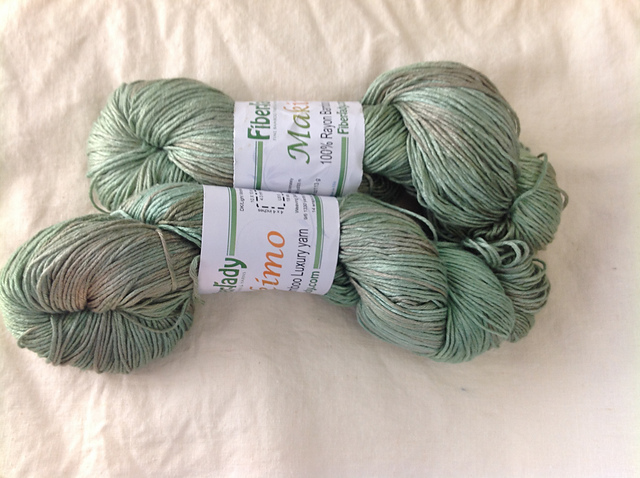 With the help of a friend, I picked out some yarn from Stunning String Studio to make another Custom Fit sweater and a couple of skeins of sock yarn from Leading Man Fiber Arts and Seven Sisters Arts. My younger daughter has already claimed one of them. I had a great time and look forward to next year!